The car is dead, long live the car. 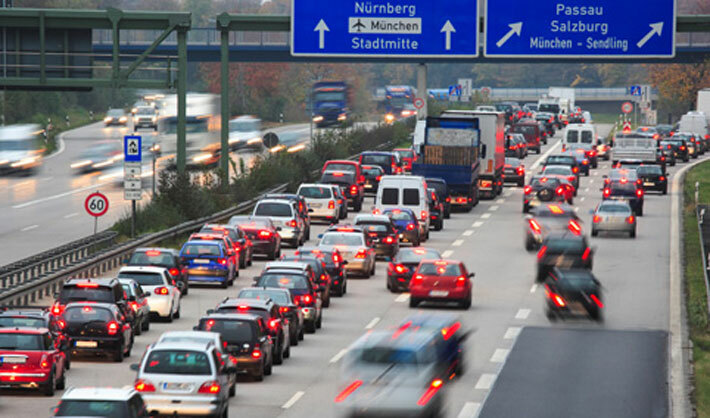 Neither Gottfried Daimler nor Karl Benz, the inventers of the automobile, could have imagined, even in their wildest dreams, the extent of the problems caused by the rapid development of road traffic within little over a century. Meanwhile, it has become increasingly obvious that within a few decades the internal combustion engine will have run its course as a form of propulsion. The future belongs to electrical propulsion. Petrol and diesel are expensive fuels. This is not only down to the pricing policies of the oil companies, but also to the irrefutable law of supply and demand. 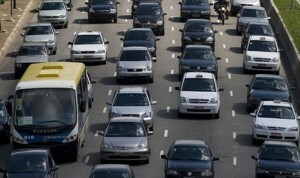 Meanwhile, the number of cars on the planet has hit the billion mark and continues to grow by the day. 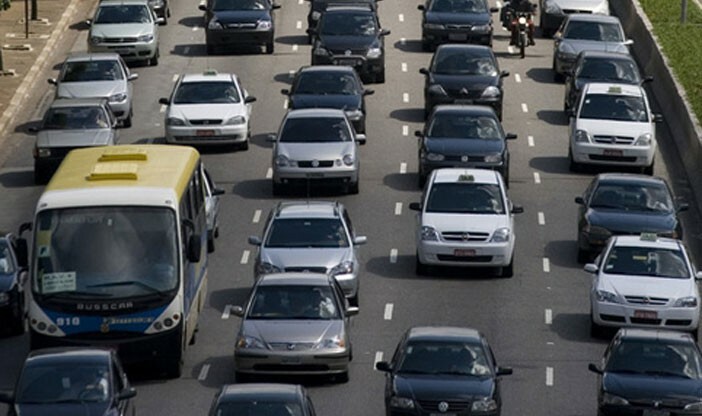 In China alone 13 million new cars were sold in 2012. Road traffic experts believe that by 2050 there will be a worldwide traffic volume of around 2.5 billion motor vehicles. Against this backdrop no-one can say for sure how long the planet’s oil reserves will last. One thing is certain, and that is that fossil fuels are a finite resource, that extracting them is becoming increasingly complex and, therefore, expensive, and that the harmful emissions from burning them in all those future engines will pollute the environment. When their motorized carriage first appeared in 1886, automotive pioneers Gottfried Daimler and Karl Benz could never in their wildest dreams have imagined the problems the rapid development in road traffic would cause within little over a century. One thing has become clear: within a few decades the use of the internal combustion engine as a propulsion unit will be confined to the realms of history. The vision of politicians, road traffic experts and futurologists is a zero emission vehicle that can, at the very least, run without producing any harmful exhaust gases irrespective of how the electricity used to power this vehicle is generated. This can only be achieved via a complete electrification of the propulsion unit. One step along this path entails the use of so-called hybrid vehicles, which combine the classic internal combustion engine with an electrical propulsion unit, as a bridging technology. With a continuous development of well over 120 years under its belt, the classic internal combustion engine – be it of the petrol or diesel format – has been researched like no other machine around and successfully applied to a whole host of uses. Nevertheless, the leading automobile manufactures still believe it has a long way to go before it realizes its full potential. An example of this is that while fuel injection has always formed a part of the way the diesel engine works, its introduction into the design of petrol engines is only relatively recent. Turbochargers, electronic ignition, engine management, adjustable camshafts and automatic start-stop are just some of the tricks employed by engine developers to squeeze the highest performance out of the reciprocating piston engine, as it known in the trade. However, all the technical refinements in the world are unable to resolve the one main problem regarding internal combustion engines: And that is that less than 40 percent of the energy provided by the fuel is converted into mechanical performance. That aside, then there are the losses in the various stages of the drive train such as transmission, cardan shafts or tires as well as in many auxiliary devices like, for example, the water pump or the alternator. But it is not only a lower fuel consumption that is the aim of all these efforts. Ever since the regulations governing a car manufacturer’s average emissions have been increasingly tightened by the legislator, with respect to the composition of the exhaust gases produced it is, above all, the amount of CO2-being sent out into the atmosphere where the centre of interest lies. The introduction of the lambda-controlled three-way catalytic converter in the mid 80s represented a quantum leap as far as complying with the regulations of the EURO 1 Guideline as of 1993. The coming into force of Euro 6 on September 1, 2014 will see the successively reduced pollutant emission limits tightened yet further. However, even the cleanest cars are still a long way from being exhaust-free. Petrol and diesel engines, together with other power units of identical construction in which natural or liquid gas, ethanol or other biofuels are burnt, will be the predominant sources of propulsion for a good many years to come. Having said this, it is merely a matter of time before electrical propulsion begins to make its presence felt. The evolution of mobility is now in full swing. At present the idea of a purely electrical car as a means of transport for the masses is still very much a dream. The reasons for this are manifold. And – depending on the concept applied – extremely varied. One of these is that vehicles which use batteries for storing energy are burdened with a great deal of weight and that their range currently falls well short of what the modern road user is used to. Relatively long recharging times and a lack of electricity connection points hardly serve to make the idea more attractive. 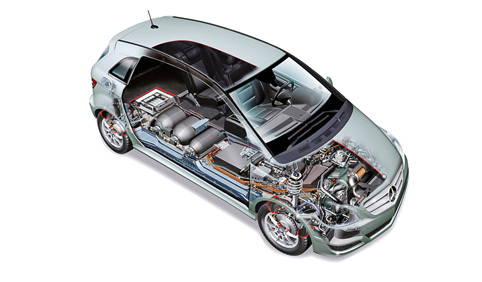 Cars fitted with fuel cells as energy convertors could be one way around these disadvantages. Vehicles would fill up with hydrogen, which will give them a range of several hundred kilometers, and the energy density of hydrogen gas compressed to up to 700 bar is so high that also where driving performance is concerned no reduction with respect to familiar technology is to be expected, quite the opposite. However, fuel cells are still very expensive, but this will not always be the case, especially after the onset of mass production. The real barrier is that at the moment there is hardly any existing infrastructure. This is illustrated by the fact that there are at present no more than a dozen hydrogen filing stations in the whole of Germany. This clearly shows that: The Hydrogen-Car Project is still at the research stage. Until it becomes clear during this development process just which system and which technology will come to the fore, the car industry will continue down the hybrid vehicle route. These are cars fitted with both an internal combustion engine and an electric motor. Which of these acts as the main propulsion unit and which is used in a supporting role or cuts in on an occasional basis depends on the respective concept. Electric vehicles have little in common with the car as we know it today. Of course it’s still a question of transporting people or things from A to B without having to depend on timetables or adhere to pre-established routes. Tomorrow’s cars will feature a passenger compartment with seats, a steering wheel and a brake pedal just as those of today do. But that’s about where the similarities end. The propulsion unit runs on electricity only and is near enough silent. That means, among other things: That an engine compartment stuffed full of machinery will no longer be needed. Furthermore, the electric motors, which are ideally mounted in or on the wheels, do not require a gearbox for selecting the right rpm range for any given driving situation. And they convert the kinetic energy generated when braking directly into electrical current that is then stored in batteries and super condensers. Instead of the classic propulsion technologies, including add-ons, the vehicle will be equipped with a frequency convertor and a high-voltage power supply system, efficient batteries, fuel cells and hydrogen tanks. Today, none of the above is anything more than conventional technology and it gives the manufacturers and designers a whole set of new possibilities with respect to layout. Together with lightweight materials for the construction of body parts and high-performance rubbers for the manufacture of energy efficient tires, the specialist chemicals group LANXESS offers plenty of other products for a whole range of different „Green Mobility“ applications. Polymers suitable for the insulation of power supply cables, fireproof high-tech plastics for connection plugs and sockets and electronic boxes and special pigments for the battery terminals are just a small selection from our product portfolio. It will be a further two to three decades until we can use an efficient infrastructure that includes much more than a nationwide network of filling stations. And from the ecological point of view hydrogen can only be considered a truly clean energy source if it is produced using green technologies such as wind power and solar applications. Furthermore, green energy sources, the availability of which is unstable by nature, require an efficient storage technology – and the conversion thereof into hydrogen is the perfect solution. Emission-free mobility that is completely non-dependent upon fossil fuel sources is still a long way off. A great many developments and innovations are necessary to turn this vision into reality sometime in the future. But there again, Rome wasn’t built in a day. And, step-by-step, LANXESS is helping to drive this process of change forward.